Between the year 1620 and 1640, the period known as The Great Migration, approximately 20,000 colonist landed on the shores of New England. Two of those brave immigrants were men, both named John Heard, and both of whom lived in Maine at at least some point. Unfortunately the lives of these two men have become intertwined and some false information added to the mix, making for confusion as to who is who. My ancestor is the John Heard who married Elizabeth Hull. Here is what I know about him. John Heard, who was not my ancestor, was supposedly a sea captain and known as Captain John Heard. His wife' s name was Isabel (Warwick) and they lived in Kittery, Maine. They had two sons,Warwick and Ensign James Heard. James married either Shuah Starbuck or Shuah Conley. This family remained in Kittery, ME well into the 1700's. The second John Heard was a master carpenter who lived for a while in York, Maine, a bit further up the coast from Kittery, but eventually settled in Dover, New Hampshire. The English origins of this John are unknown, neither his birthplace nor his parents have been identified. Multiple ancestry.com trees and websites list the parents of John as Luke Heard and Sarah Wyatt. This is not true. John was born around 1610 and married Elizabeth Hull in 1643. Sarah Wyatt was born in 1623 and married Luke Heard in 1642. Now it doesn't take to much analysis to see that it is impossible for Sarah and Luke to be John's parents, yet there they are in hundreds of trees. The old cut and paste genealogy at work! Luke and Sarah did have a son named John, he died in 1696, unmarried, in Andover, Massachusetts. HFAm #6, Elizabeth Hull, who married John Heard, has some erroneous information on Elizabeth’s husband. There were two John Heards and Elizabeth did not marry the one designated as Captain John Heard, of Kittery, York County, Maine, who was a sea captain, and married Isabel [_?_]. Elizabeth married the John Heard who was a carpenter of Dover, Strafford County, New Hampshire. Also the parents of Elizabeth’s husband, John, were not Luke and Sarah (Wyatt) Heard. Elizabeth Hull Heard’s husband’s parents are unknown. This statement seems to clear up the issue of John's parents, however, it adds to the confusion of which John did what. The John of Kittery and Sturgeon Creek, Maine called himself "yeoman" in his will and is also called a carpenter. In the book History of Dover, John of Dover is said to have been in the shipping business and therefore called Captain. I am not sure which of these statements is correct. Elizabeth Hull was born in approximately 1628 in North Leigh, Devon, England. Her DOB is based on the age given in the ship manifest when the family left for New England in 1635. Her father was the Reverend Joseph Hull. Joseph was married twice, at the time of the sailing his wife was listed as Agnes. She was his second wife, the name of the first is unknown. Some claim that the first wife was called Joana Coffin, but this is not true. If fact Robert Charles Anderson does not think there is any reason to believe that her name was even Joana. Anyway, Elizabeth sailed with her family and multiple members of her father's congregation, leaving Weymouth, England on March 20th and landing in Boston on May 6th, 1635. John Heard and Elizabeth Hull married about 1643 and their son Benjamin was born within a year. A John Heard signed the Dover Combination in 1640 and although I have read that it was the other John Heard who was the signer, it doesn't make much sense as it was our John who lived and died there. Dover was first settled by by William and Edward Hilton, brothers, and fishmongers from London. It was established for purely economic reason, not religious. In 1631 there were only three houses in the settlement. The plantation of Cochecho was bought in 1633 by a group of English Puritans who wanted to establish a hereditary aristocracy in New England. This pursuit failed to be popular with the people and in 1641 the plantation was sold to Massachusetts. According to "The History of Dover" John was not taxed in 48, 49, or 1650 and the tax records are missing until 1657 when he is taxed. He was assessed various rates through the years, especially for payment for the minister. In 1648 he was assigned a lot in the Cochecho Marsh. In 1665 John was chosen to be on the grand jury. 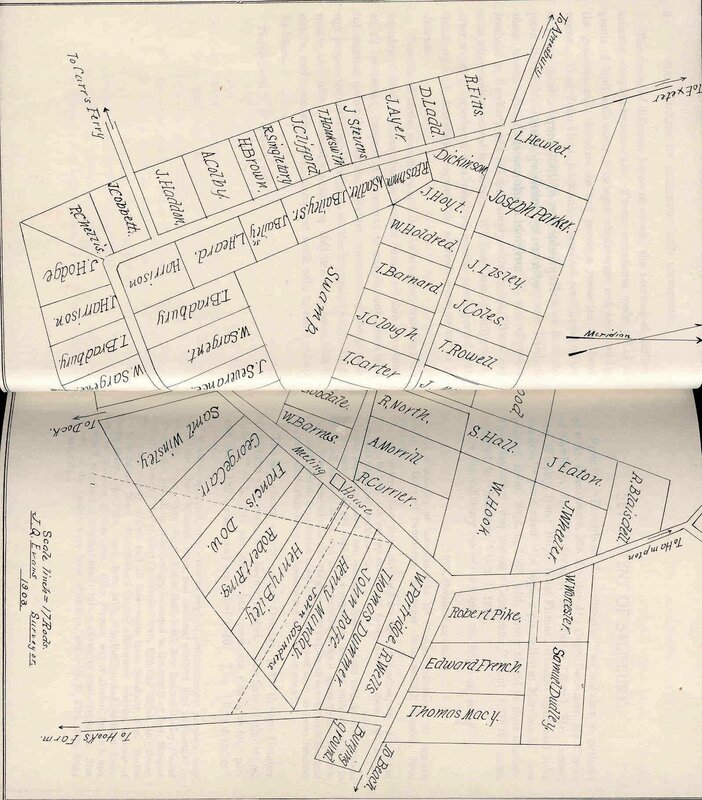 He was also given a grant of land in the Cocheco settlement on which he built a garrison house, it was known for many years as "Heard's Garrison". A garrison house was a fortified house that was used to shelter from Indian attacks. Samuel b. Aug 4 1663, m. Experience Otis, she was scalped by Indians on July 26 1696, she survived for a while, later dying on Feb. 8 1700. Nathaniel b. Sept. 20 1668 m. Sarah, d. April 3 1700, she married William Foss. John wrote his will on 2 April 1687 and he died 17 January 1688/89. His will was not probated until 1692 because of the Indian troubles. He named in his will his wife Elizabeth and his children: Benjamin, Tristram, Samuel, Dorcas, Nathaniel, Mary, Abigail and Elizabeth. In 1703 Tristram petitioned that there had been no will and that he was the only surviving son. His brother Nathaniel's widow, now Sarah Foss, testified that the will had indeed been probated and the estate divided. This has led to come confusion over the date of death of the eldest son Benjamin, who seems to have been alive at that time, he died in 1710. After years of peaceful co-existence with the local Indians, trouble began brewing in the 1670's. 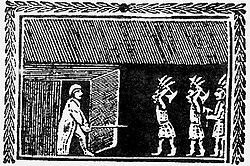 In 1676 a large number of Massachusetts Indians arrived followed shortly by soldiers who, in what is called "the Sham War", separated them from the locals and returned them to Massachusetts where many were imprisoned or hung. This did not sit well with the local Indians. By 1684 the Governor of New Hampshire ordered that the meeting house be garrisoned and that each local neighborhood fortify a house to be used as a garrison. The home of John and Elizabeth Heard was chosen because of its position on a knoll. The garrisons were built to withstand bullets and attacks by fire. They were surrounded by a log palisade. On June 26th, 1689 the Indians launched a coordinated attack on the Garrisons of Dover. With help from Indian women who slept inside, the Indians were let into the Garrisons. Twenty three colonist were killed and twenty nine captured. One, a three month old child was taken to Canada and was raised by Catholic Nuns, she eventually returned to Dover a married 45 year old woman. Elizabeth Heard and her family (three sons, one daughter, and their families) had been in Portsmouth, New Hampshire for unknown reasons and were returning to Dover on the very morning of the attack. Their garrison was being guarded by William Wentworth, who was awakened by a barking dog, got up and closed the palisade gates. The Heard family made their way up the river in the dark and upon smelling smoke and hearing the cries of the attacking Indians realized what was happening. Elizabeth became incapacitated by fright and begged her family to abandon her and head for their garrison. They deposited her in some bushes and left her. After the attack she made her way home and found her house and family intact. Her story was recorded by Cotton Mather. Elizabeth died 30 November 1706. John Scales, History of Dover, N.H. 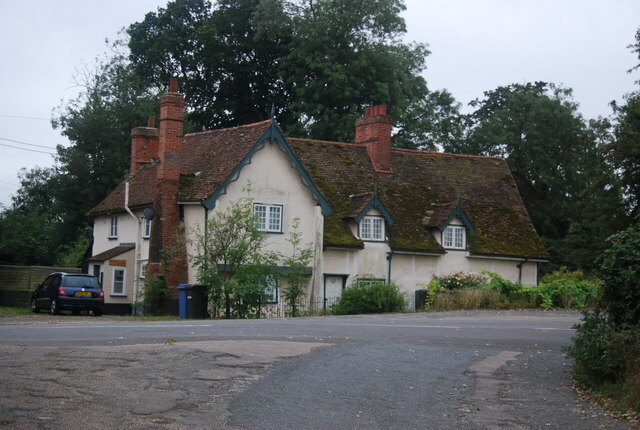 The Merrill family originated in Wherstead, Suffolk, England, a tiny agricultural village close to Ipswich in Suffolk, England. Two Merrill men, John and Nathaniel, left England and settled in Newbury, MA. Presumably they left for religious reasons, Suffolk was a "hotbed" of Puritans, in fact John Winthrop, one time Governor of the Massachusetts Bay Colony, was from Groton, not terribly far from Wherstead. Of course, their reason may also have been economic or a mixture of the two. Although many websites claim that the Merrill family pedigree has been traced directly back several centuries to Thomas Merrill b. 1444, this is not necessarily true. The first Thomas Merriell left a will dated January 1463, if he was born in 1444 he would have been only 19 years old. Since Thomas left about 10 children, he must have been born much earlier. Thomas, or possibly and earlier ancestor started a family tradition which would and still does make life miserable for genealogist 400 years in the future. How, you ask, did they do this. Thomas had not only two sons, both living, named William, but also two sons who survived childhood named John. One of these two Johns is usually cited as the John Merrill whose will was dated 1528. If he was, he lived to a great age, or possibly there was a generation missing. The John of the 1528 will also had two sons named John. A subsequent John, will dated 1551 continued with the two Johns tradition. This leads us to the last John whose will was dated 1600. The problem with drawing a line from this John to Thomas is that there is no way to tell who his father was or who his father's father was. Each of these men had sons with names other than John, any of which could have been the father of a John. Oh, it's too confusing, but what I am trying to say is, despite seeing trees with each man directly linked to the next, there is nothing to back up their claims. Blessedly, the John of the 1600 will named one, and only one, of his sons Nathaniel. This John is Nathaniel the immigrant's grandfather, and this we can prove. We know that his wife was named Prudence and they had at least three sons, John, of course, Michael and Nathaniel. Some family history's claim Prudence's surname is Bird, I do not know what their source is for that. On 27 Feb 1591/2 Nathaniel married a Mary Blackwell/Blaxell/ Blacksoll. I have not seen a transcription of the parish records and this marriage is not on familyseach, so I cannot confirm it. The baptisms of Nathaniel and Mary's children are transcribed. John Merrill was baptized August 16, 1599 and his brother Nathaniel, baptized 4 May 1601. 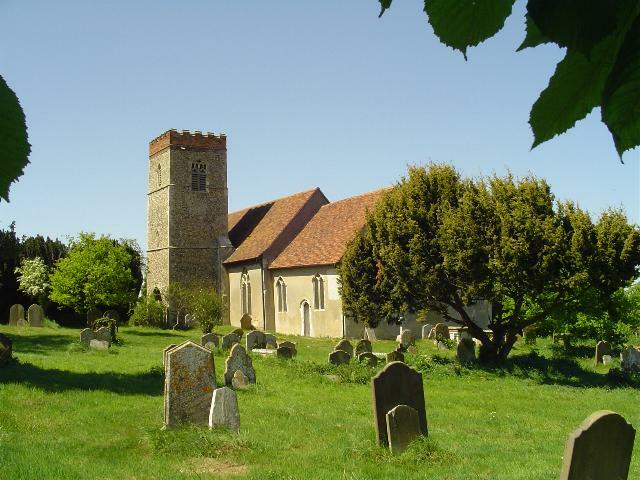 Nathaniel and his wife Susanna were married in England at St. Mary's in Lawford, Essex. Lawford is about eight miles due south of Wherstead. Susanna is said to be the daughter of Susanna Unknown and unknown father. Her mother remarried a Gregory Wilterton or Wolterton. Susanna's maiden name is unknown. 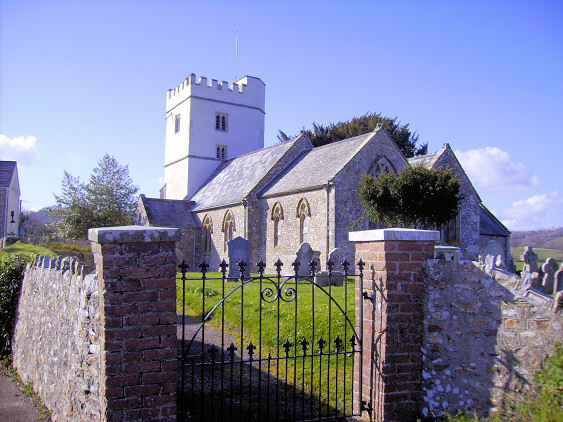 According to a Merrill Family Website, the the baptism of four of his children also took place at St. Mary's in Lawford. The last record of this Merrill Family is the baptism of Susan Merrill, which took place on 12 December 1638. It is not clear to me exactly when the brothers arrived, whether together or separately or on which ship they traveled, but they were both settled in Newbury by 1638/39. Nathaniel was then a married man about 40 years old with four children. He took the freeman's oath in 1640. Not much else is written about him until his death in 1654/5. Abraham, bapt. 9 april 1637 Lawford, d. 28 November 1722. Daniel born 20 August 1642 Newbury, MA d. 27 June 1717 Salisbury, MA. Nathaniel died March 16, 1654/5. His estate,worth only 86 pounds, was to go to his eldest son Nathaniel. Susanna his widow had a lifetime interest in the estate. On August 16 1661 Susanna married Stephen Jourdan. She died Jan 25, 1672. 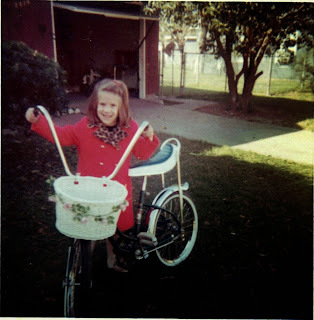 What a great bike; banana seat, basket with flowers, WOW! Hope your Christmas is that good! Ruth True Baker was the grandmother of Katherine Baker Thornton, see previous blog about Katherine. Ruth was born on January 22, 1711, in Salisbury, Massachusetts, to John and Martha Merrill True. The True family had lived in Salisbury since 1659 and must have seen a lot of changes in the almost 60 years that had passed since then. The True family had played an important role in leadership both political and religious. They lived through the terror of Indian attacks, which had occurred as recently as 1710, the Witch Trials of the 1690's, which were not limited to Salem, but occurred in many parts of the colony, and the general hardship of establishing a new society from scratch. The Puritan hold over everyday life was beginning to relax and families were striking out to new lands as the first settlements became crowded. Although I cannot find much information about Ruth and her husband Benjamin, her family does have an interesting history which I hope to share. Ruth's father was John True, third son of Henry True, Jr. and Jane Bradbury True. According to the Genealogical and Family History of the State of New Hampshire, Vol 2, John was born on February 23, 1679, in Salisbury. He married 16 June 1702 Martha, daughter of Daniel and Sarah Clough Merrill, born 3 September 1683 in Newbury. John and Martha had 10 children, they baptized the first 5 in 1710 when they were admitted to the Salisbury Church. ( I will have to check on that, I'm not sure the Puritans baptized their children). John was a carpenter by trade and was elected a deacon in the church. His name is not found in any records after 1736, his date of death is unknown. John and Martha appear to have lived their entire lives in Salisbury. Henry True, Jr. was born on the 8th of the 1st month of 1644. The first month according to the Puritan calendar was March. He was born in Salem, Massachusetts. He moved with his family to Salisbury where he lived out his life. In 1667 he married Jane Bradbury, the daughter of Thomas and Mary Perkins Bradbury. Henry was, according to the Genealogical and Family History of the State of New Hampshire, Vol I, a carpenter. He took the Freeman's Oath in 1675, became a member of the Salisbury Church in 1675, and on October 29th, 1696 was commissioned a Captain in the local militia. Henry was elected a Deacon of the church in 1700. He also served as town clerk multiple times. According to Mrs. Sarah Sprague Saunders Smith in her book Founders of the Massachusetts Bay Colony, Captain Henry True at the great age of 81 (in 1726) turned over his duties to his eldest son William. Henry died September 18, 1735. Jane, his wife died January 24, 1729. Thomas Bradbury came to Maine in 1634 to act as agent for his wife's uncle, Sir Ferdinando Gorges. Made a freeman in 1640. Constable, schoolmaster, town clerk, deputy to the court, and captain in the military. Veteran of King Philips War. Thomas Bradbury, second son of Wymond and Elizabeth (Gill neeWhitgift) Bradbury, was baptized at Wicken-Bonant, Essex County, England, on the last day of Febuary, 1610-11, as appears by the parish register. Early in 1634 he appeared at Agamenticus, now York, Maine, as the agent or steward of Sir Ferdinando Gorges, the proprietor of the Province of Maine. He was one of the original proprietors of the ancient town of Salisbury, Mass., one of the earliest settlers there, and was one of the foremost citizens for a period of more than half a century. He was made a freeman in 1640, held at various times the offices of schoolmaster of the town, town clerk, justice of the peace, deputy to the general court, county recorder, associate judge and captain of the military company, and always filled these important positions with credit to himself and satisfaction to the public. For a recording officer he was peculiarly fitted by his tastes and acquirements. He wrote an easy, graceful and legible hand, and had a clear and concise style of expression. His chirography may still be seen in numerous official documents on file in the archives of Essex County, Mass., and also at Exeter, N.H. In 1636, Mr. Bradbury became a grantee of Salisbury, and that year married Mary, daughter of John and Judith Perkins, of Ipswich. Mary (Perkins) Bradbury and five other woman were tried and condemned for witchcraft on 9 September 1692. Mary and one of the other women, Dorcas Hoar, were not executed with the others on the following September 22nd. The reasons for their stay of execution, if ever recorded, have been lost to us but much has been written about their trial. Mary was charged even though her husband was a prominent man in the colony. "It seems strange to us that an aged person, whose whole life according to the testimony of her neighbors had been one of charity and kindness, of piety and acts of good will, should have been condemned for witchcraft (and on such unsubstantial evidence as) because 'physick' would not 'work', or butter became rancid at sea, or storms disable a vessel and caused it to leak, or a captain had visions of a woman while at sea, and men had seen a 'blue' boar." Charles Wesley True, Jr., Some Henry True Descendants on the Frontier, p. 25. Other testimony accused her of bewitching John Carr so that he became crazed and prematurely died. At her trial, Mrs. Bradbury was defended by Major Robert Pike, uncle by marriage, and answered the charges declaring her innocence, her husband bore testimony on her behalf, and her minister, James Allin, and members of the Pike family gave testimony of her good character. The testimony of John Carr's brother, William, in Mary's defense, went to show that his brother, John, fell in love with Jemima True, but the proposed match was opposed and broken off by young Carr's father on account of his youth. John became melancholy and at times insane. William stated that he took care of his brother in his last illness and his brother died peaceably and quietly, and never spoke anything of the harm of Mrs. Bradbury or anyone else. One hundred and eighteen of Mary's acquaintances, consisting of both men and women, some having known her for fifty years, gave evidence of her good, peaceful, and Christian life. I imagine it took great courage in such perilous times to sign this declaration and was pleased to note that over a dozen of our own ancestors signed in her behalf. The witch trial of Mary Bradbury must have been a terrifying ordeal for Jane her daughter and the True family. Mary had been a successful businesswoman, a rarity at that time in the colonies. She made butter and sold it to seagoing ships. Luckily she escaped with the help of friends and family and lived until 1700. Her husband Thomas died in 1695. 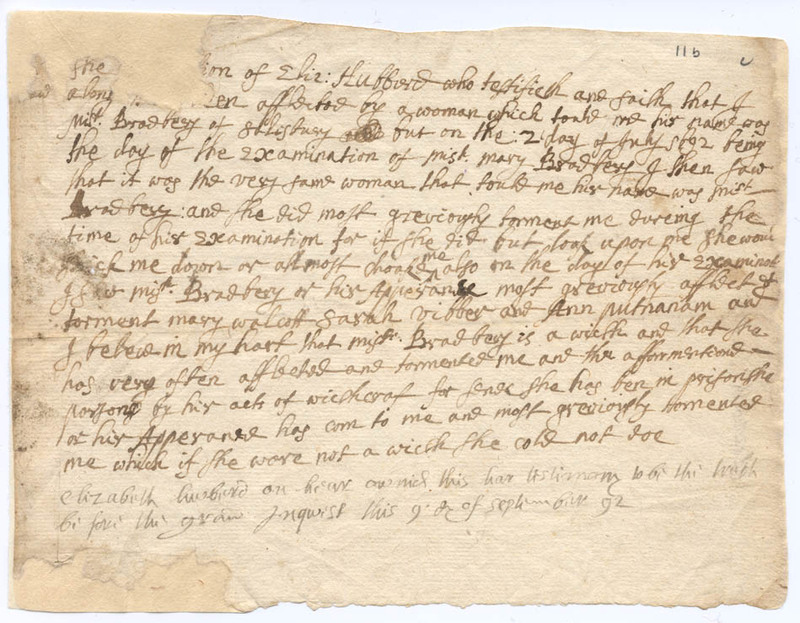 Jemima True, whose engagement to John Carr was called off, was the sister of Henry True, Jr.
Henry is first recorded in America in Salem, MA, by the purchase of a house according to a deed dated 16 August 1644: "I, Edward Gibens, doe acknowleg Deed or Bill of Sale to have Received of Henry Trew of Salem fower pound for the house in Salem, which was Mr. Strattons; and by this payment doe give him fulle perseion of the said house; to him and his forever." This deed is recorded in the first volume of Records at Salem, MA. Henry was granted forty acres of land in 1649. He had a lot in "Southfield" in 1653 and a lot on South River in 1658. Several accounts have Henry True and his family moving to Salisbury, MA, ca. 1657. He bought a house and land in Salisbury from a Richard North in 1657. His widow refers to herself as "of Salsibury" in 1659 which might indicate that the family had moved there before that time. Henry True was a mariner and continued sailing for his living after emigrating to America. This is supported by the fact that it is recorded on 18 September 1656, that the ketch Returne, Henry Trew, Master, is "sailing from Barbados, being then on Carlisle Bay, bound for Boston with Molasses." No written record of Henry's death has been found but it is generally believed he died at sea while on an expedition to Canada in 1659. 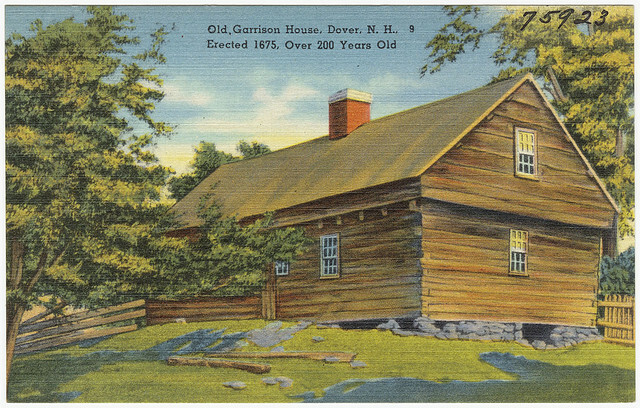 There must have been some proof of Henry's death because in a deed on record we find that, "Israel Trew of the town of Salem now of Salisbury in the county of Essex, widow administrator to the estate of Henry Trew my husband, late deceased..." conveyed a house and land in Salem, MA, to a George Gardner on "22nd of 9th month 1659." (According to the calendar then in use in England and the colonies, the ninth month would have been November.) Also, an inventory of Henry's estate was allowed to be filed April 10, 1660. His widow married 18 June 1660 Joseph Fletcher of Salisbury, MA, and had one daughter by him. It is believed that all of the True children and his own daughter were treated as his own children by Joseph Fletcher and that they grew up together as one family. This impression is brought about by the reading of Joseph's will, made the 2nd day of February, 1679, in which he left everything divided just about equally among the three True children who reached adulthood and his own daughter. Joseph recovered from the illness he had when he made out his will and outlived his daughter. He disposed of his property during his lifetime by deed to his surviving step-children, Henry, Joseph, and Jemima True. The source for the above is Paul Nicols, of San Diego. John Pike came to America in 1635 aboard "The James". He was first in Ipswich and then in Newbury. He was in Salisbury by 1654. In a 1965 article in the New England Historical and Genealogical Register he was described as an educated man who served on juries and gave counsel to his neighbors. He was fined for being absent and for being disruptive in town meetings. He died in 1654. His son, Major Robert Pike, was an influential leader, both political and military, in the colony. Benjamin, Katherine’s father, died in 1790, when Katherine was about 11 years of age. He is buried in the Blair Cemetery in Campton, New Hampshire. The Baker family can be traced back to William Baker, date of birth unknown, (possibly around 1655) who was of Ipswich, Essex, Massachusetts. It is recorded that he was a Glover by trade. He married Sarah Fitts on December 30th 1686. She died in July 1722, he remarried in 1723 to Anna Buswell, widow. She also predeceased him, dying in 1742. William died in 1743. There is much confusion on the web and on Ancestry.com regarding the origins of William Baker as there were several men named William Baker living in Massachusetts around the same time. Our William is not the son of William Baker and Mary Eddington. That man was born in Boston, Massachusetts in Oct. 1655, he married Elizabeth Dutton and lived and died in Concord, Massachusetts. 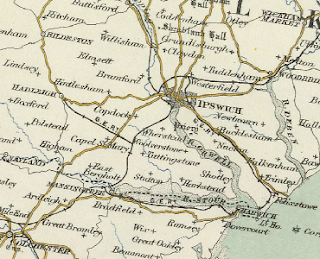 William’s son William, Jr. was born in Ipswich, he married Elizabeth Heard on September 24, 1713. They lived in Salisbury, Massachusetts, he was a yeoman. (Essex Antiquarian) Elizabeth died in 1753 and he died in 1766. He also had a second marriage to Mary Bixby, widow. Benjamin Baker, father of Katherine, married Sarah Norris on 10 January, 1775. He also enlisted in Col. Starks regiment that year. His paperwork says that he lived in Canterbury, N.H. and his occupation was a cordwainer. 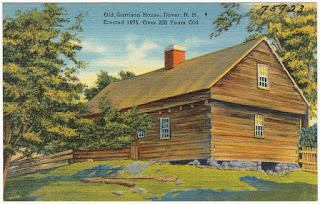 He and his family moved to Campton in about 1780. In the 1790 census of Campton, Sarah Baker is listed as head of Household, so Benjamin died prior to the taking of the census. After her husbands death, Sarah Norris Baker married Joshua Rogers in 1793. 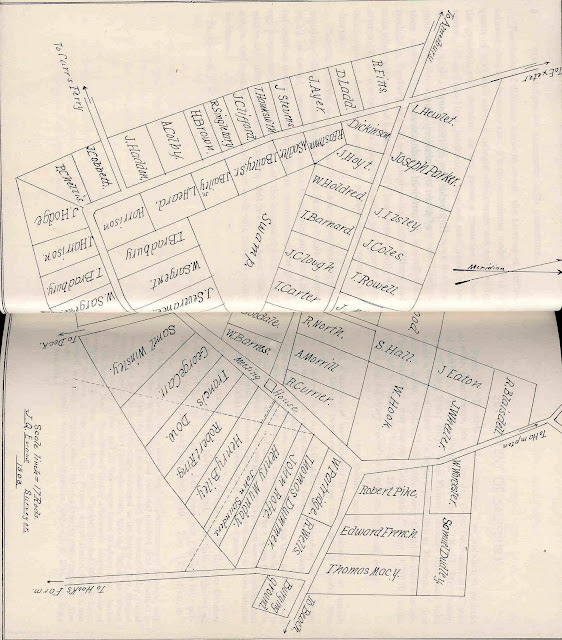 Joshua is listed on the 1790 census of Campton. Sarah joined the Church of Reverend Noah Webster in 1802. This is the last documentation of her that I can find. In 1802 Katherine married Samuel Thornton. They moved several times and seemed to have gone between Canada, Campton and Wheelock, Vermont.